Traditional astrologers believe that Capricorns are most compatible with Taurus, Virgo, Scorpio, Capricorn, and Pisces, and least compatible with Aries, Gemini, Leo, Libra, Sagittarius, and Aquarius, but what do the actual marriage and divorce statistics say? Mathematician Gunter Sachs (1998) conducted a large-scale study of sun signs, encompassing nearly one million people in Switzerland, which found statistically significant results on a number of measures including marriage and divorce. Castille (2000) conducted a similar study in France using marriage statistics collected between 1976 and 1997, which included more than six million marriages. Findings from these studies are summarized below. Sachs found that Capricorn men marry Capricorn women most often, and are least likely to divorce Pisces women. As for who they are least likely to marry or most likely to divorce, there were no statistically significant results for any particular sign. Capricorn and Pisces appear to be a good prospect for long-term love, which reflects the complementary nature of these two signs. Capricorn provides the stable base that Pisces needs, while Pisces encourages Capricorn to come out of his shell, to trust and feel and experience the world. Both signs are inclined to be cautious with money, which lowers the likelihood of financial arguments driving a wedge between them. 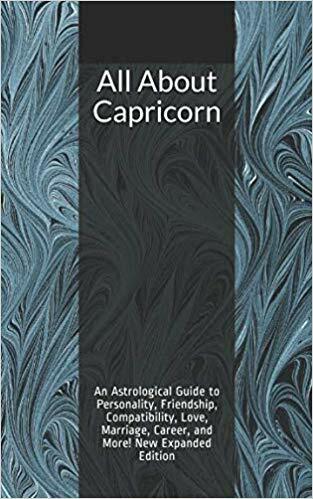 As with nearly every other astrological sign, Capricorns are more likely to marry those of their own sign, likely due to shared attitudes, interests, lifestyle preferences, and ways of relating. Sachs found that Capricorn women are most likely to marry other Capricorns, and that they marry Sagittarians least often, which is accords with traditional astrological beliefs about compatibility. Their higher-than-average divorce rate with Gemini men is also unsurprising. As for who Capricorn women are least likely to divorce, there was no statistically significant result for any sign. It’s unsurprising that Capricorn women marry Sagittarius men less often than those of any other sign. The extroverted, risk-taking, blunt-speaking Sagittarian personality is diametrically opposed to the introverted, careful, and diplomatic Capricorn persona. Capricorn is also likely to find Sagittarius unreliable, and Sagittarius may find Capricorn repressive. Sagittarius is not usually the right sign to unlock the hidden Capricorn warmth, and Capricorn can make Sagittarius feel oppressed. However, if the rising or moon signs of the two partners are more compatible, this can be a much better match. The higher-than-average divorce rate between Capricorn women and Gemini men probably results from a personality clash as well. Quiet, thoughtful, serious Capricorn and chatty, impulsive, playful Gemini are not the best match for long-term love unless other elements in their natal zodiacs are more compatible. There is great potential for mutual irritation here, with Capricorn finding the Gemini “flaky” or undependable and Gemini viewing Capricorn as gloomy and oppressively pragmatic. The best match for Capricorn appears to be another Capricorn or a Taurus, whereas Gemini and Sagittarius are more problematic matches in some cases. However, Capricorns who find themselves romantically entangled with one of the less compatible signs should not despair. Plenty of relationships and marriages between supposedly incompatible signs have lasted. It’s important to keep in mind that these are statistical tendencies; this doesn’t mean that every romance between incompatible signs is doomed. For example, out of 6,498,320 marriages encompassing all possible sign combinations in the Castille study, there were 1,068 more marriages between Capricorn men and Capricorn women than would be expected if sun signs had no effect, whereas between Capricorn men and Gemini women, there were 346 fewer marriages than would be expected if pairings were random. However, there still were many marriages between the supposedly least compatible signs. Astrology is complex, and there is more to take into account than just sun signs. Two people with incompatible sun signs may have highly compatible rising signs or moon signs that can make the difference between a bad match and a good match with a bit of an “edge” that keeps things interesting. *The Sachs study has been criticized for not taking potential confounding variables into account and continues to be controversial. I have found no critiques of the Castille study thus far. For more on Capricorn, see the Capricorn Personality Profile. 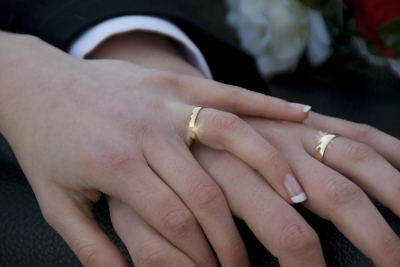 To see personality and marriage profiles for all the sun signs, visit the main Astrology page. Bugler, C. (Ed.). (1992). The Complete Handbook of Astrology. Marshall Cavendish Ltd., Montreal, 1992. Castille, D. (2000). “Sunny Day for a Wedding.” Les Cahiers du RAMS. Sachs, G. (1998). The Astrology File: Scientific Proof of the Link Between Star Signs and Human Behavior. Orion Books Ltd., London. Woolfolk, J.M. (2001). The Only Astrology Book You’ll Ever Need. Madison Books, Lanham, MD. Interestingly, in the PDF version of the Castille data there is a “weighted” study; Aquarius juuuust edges out Scorpio for Capricorn women’s 3rd place. It’s interesting that the rank is then identical for the two studies! So, did you find out? I’m a CAPRICORN woman and was married to a Virgo for 16 yrs.. And now I’m with a Scorpio… And I’m so in love with him.,.. Will it work?? as a team.I also wouldn’t trade him for anything in the world cause he is my world.God has finally answered my prayers for someone special who treats me with respect and accepts me for who I am as a woman cause we are the weaker vessel. Thank you,I loved your comments. Rae. When someone want to leave there is no way to stop him.I have been through that situation over a year tried to hold my ex and save our marriage. I let him go because we both become unhappy and I was about to get sickness, so let’s him go.If he really love you he will return. I was with a taurus for 6 year’s at first it was the best until he got out of county jail and then he started beating me so keep a watch out for taurus. Now I’m with a capricorn things are good but it’s hard because we are both stubborn but we have been together for 12 year’s and still counting don’t get me wrong we do bump head’s at times. But it’s better then being beaten. Oh and I’m a Capricorn too. Hi I’m not married nor I have boyfriend the concern is I never got true person to love so I just want to know which zodic sign person will be best match for me and when I’ll get right one for me .I’m Capricorn. I am a capricorn woman and i am in love with a taurus man. He also loves me more than as i do. We have been together for three years jn high school and we stopped talking few months before but now again we are together. We are in long distance relationship. But are more happier than ever before . We do have some differences but if we know how to go through them. I have found a taurus man to be the best mate for a capricorn woman ever. If you have deep trust in him and be affectionate with him. He can go to miles for you, you just need be more communicative with him about your thinking and thoughts and ready to accept him as he is, You will find a deeply loyal and most caring life partner ever. I am a Taurus and I want to know who would be the best husband and father for my kids, my kids birthdays are March 1st, April 27th and June 6th. I’m capricon and he’s Sagittarius we now 5 years together,thing with him is he’s very impatience he sulks most of the time…he even lied at times and I’m very patient with all that…are we right for one another? I am sagitarus married to capricorn. Yes I’m impatience and lie for good things .and to avoid big fights and hurts in family. I am happy with my wife since 1999. Almost 20 years. No issues. Very nice wife. Only thing is she is also more attached and very emotional. But we also have to take care her very well. Basically capricorns are very honest and straight forward. Pls take good examples life to be ah happy. far or how serious me and him we are. So we will see. Dating cap man for a year now, i am aries. He is sensual and loving. Cooks lovely meals and i can see that he cares. Trouble is when i am away I don’t hear much and it keeps me thinking if he and i are on the same level. He is an introvert, I on the other hand am mix. There are days when want my quiet time and there are days where i would like to go out, have fun and see what life has to offer. He has quick temper and very impatient, gets agitated really quick. I am more patience than him and tend to be submissive towards him. He makes me happy and he makes me sad as well. I want to know if this is a good match? I have alot of fear of being with the wrong person and giving my all and getting nothing in return. I met an exciting, handsome, full-of-life, European man just recently who swept me off my feet in only a few short weeks. He was only visiting the U.S. for one month, working on a project, when we met. I am a female Capricorn and he is an Aquarius and I am curious and hopeful that there might be a real future with him. I am a Capricorn woman been with my Aquarius man almost seven years…its been great. Better than the sign im SUPPOSED to be so compatable with(Taurus Scorpio). Aquarius is good with communicating telling the truth if asked and providing and saving. Its a go!! Sexually compatable we still making love and babies. Yet its time to spice it up and explore however…freedom and space is necessary after time. Heeya! I pray mine too continues smoothly ever.I’m a Capricorn woman married to Aquarius man almost 2yrs now with a cute baby boy¿? I am a Capricorn woman. I’ve been dating a Leo man for two years and for the most part it has been amazing. We are extremely compatible emotionally and sexually, and are literally best friends. The only issues are that he is extremely possessive and rather controlling. He doesn’t want me to have any guy friends at all, and gets so upset when I go out without him etc That has been very off putting for me, and led me to fall for an Aries man while me and my Leo were on a break. I’ve fallen too hard for Mr Aries mhan I wonder what’s gonna happen! But he ticks so many boxes! I was with a Leo man off and on for 16yrs. We finally got married. We WERE married for 6 yrs where I had left once before before finally leaving the second time. He was the same possessive, didn’t want me wearing certain things, going certain places. I love him but can’t live in his box. We have been separated for a year and planning to divorce. We still communicate and look out for each other. I am Capricorn woman who being marry to a Aries. The whole marriage base lyes and cheating on his part now I want a divorce and he doesn’t want give me divorce. We been separated for amount 3 years and I am ready to move on. I run back into a guy I used to date. He is Taruans he never stop loving me after all those 30 years ago we date. I am a Scorpio Woman with a Capricorn Man. I have Pisces Rising, and he has Scorpio Rising. I am a Leo woman who is dating A Capricorn man. We have our equal share of ups and downs but together we work through it. Sometimes I wonder what it would be like if we weren’t together. My boyfriend is very caring and forgiving but unfortunately likes to hide his feelings. If he can’t trust me enough to tell me his feelings, should he trust me at all? I really don’t know what to do. Do you guys think we should stay together or should I move on? He also says I love you to me every time we finish texting each other or when we might not see each other for a long time. But on the other hand, when people tell him to give me a hug, he never does it and when people ask “Are you going to propose to her” he always says I don’t know. Would that mean he doesn’t love me enough to propose? I am a Capricorn Man and I have been dating an Aquarius woman for a little over a year now and I love her so much, we get along very well together. We don’t argue about anything. But she has four kids that don’t mind and it’s very stressful and for this reason I don’t want to stay with her and she can’t have anymore kids and I have yet to have my first. But I met a Virgo Sept. 16 birthday woman today who I think I want to try and see how our compatibility is! My birthday is. Dec. 31 wish me luck. She has one kid and wants another. I’m a Capricorn woman married to a Taurus man it’s not what you think they cheat, lie, steal, and beat woman. Taurus don’t like the fact that Capricorn isn’t dumb and catches everything they do to be honest Capricorn is too good of sign to be with a Taurus. Taurus is more then likely to be a addict of some kind so watch out they will try to flip things around, and with Capricorn being a good hearted person Taurus See’s that as weakness. I know this for a fact cause I’ve been through it twice May one, and a April one just be prepared for a long nightmare of a ride cause when you want to end it Taurus doesn’t let you that easy in other words they want there cake and eat it too, where Capricorn is happy with the cake… I think that saying was made for them cause it’s got food involved… I’m just warning you about Taurus men. I. He has been carrying on an affair with a friend who he said he just showed himself that’s all! Time goes by I’m not believing him because I’ve known her sense school he I did not know I’m school. A little harder and better now than ever? How to drop this Capricorn man? I am a Capricorn woman an Aquarius is in love with me. Please tell me who is best for me. Stupidity if you rely on zodiac signs. Whoever your partner is, work hard in your relationship and maintain love, passion, loyalty, trust, and understanding each other. Most of all, put God at the center of your relationship. Pray and ask for guidance. So true!!! You could not have said it better. Am a carpricon man and am in a relationship with a Gemini lady, and there has been problems day in day out, but I love her too. I tend to only date Leo and Gemini men. I realized this recently. I find it quite odd myself.